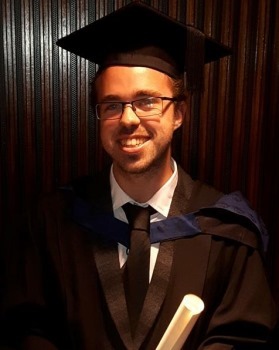 Matthew graduated with a BSc Psychology degree in 2016, and now works with young people with autism using Applied Behavioural Analysis (ABA) at a charity called Dimensions. He was directed towards the ABA method during his course at LSBU. “I got my present job about a quarter of the way through my 3rd year at university when we did a module, ‘ABA and Autism’. Because of the lectures I attended on this module, I was able to achieve the Registered Behavioural Technician (RBT) credential which not only improved my CV but meant I was offered my current job delivering ABA programs. Matthew outlined how important it is to start getting work experience and learn about your strengths as early as possible. I now know that I want to progress further in this field. I applied to do a Master’s in Behavioural Analysis and Therapy and have heard only last week that I have been accepted with a conditional offer, which only requires a clear DBS check. Without my degree, the support of Dr Clodagh Murray, my experience with young people and adults with Learning Difficulties and Autism, and the RBT credential, I would not have even considered this. With the Masters, I will be able to work towards applying for a more advanced credential, called a BCBA, which will allow me to work in supervisory and managerial positions. Good luck to Matthew for his Masters and all his work in ABA.